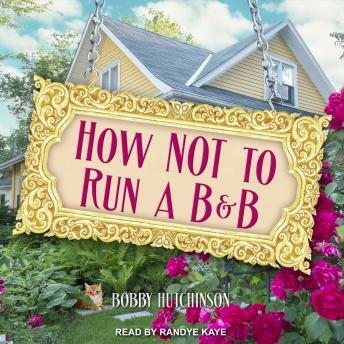 Bobby Hutchinson, a bestselling Harlequin writer, decides to open a B&B in Vancouver, B.C., when sales of romance novels falter. Despite never having stayed in a B&B and knowing absolutely nothing about running one, she jumps right in. Strange people from nearby and halfway around the world arrive at her home with their stories and struggles, not to mention their baggage, psychological and otherwise. Each chapter is peppered with a humor, a little tragedy and many life lessons (but mostly humor). There are sure fire breakfast recipes guaranteed to turn out even if the cook is half asleep.